As observed in Custom/Manual Setup with Gravis UltraSound Rev. 2.4 and Version 4.11 drivers from GUS411.ZIP. 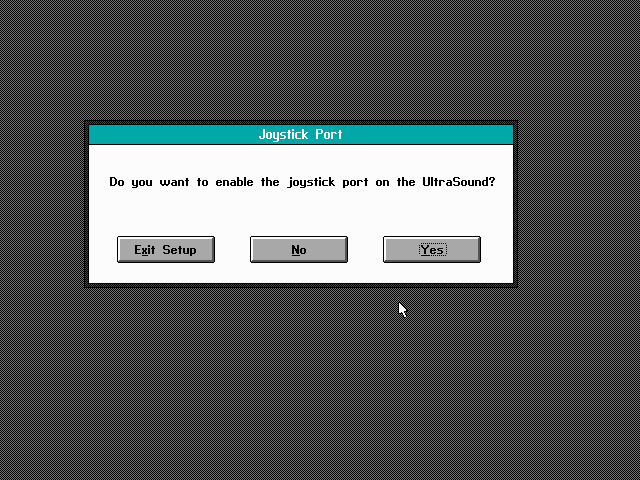 The UltraSound base port is configured by jumpers. The MPU-401 base port appears to be non-configurable. The default UltraSound IRQ setting of 11 runs into a limitation of the version of DOS4GW that is used by various DOS video games: they can't use IRQs above 7. DOS4GW can be patched with PREPGAME or replaced with DOS32A, but this wasn't enough to get Duke Nukem 3D working for me. The path of least resistance is to disable the parallel port in BIOS and reclaim IRQ 7 for sound so that everything just works. For record and play, 16-bit DMAs provide better performance (if they work at all) but 8-bit DMAs are usable. DMA 1 is required for Sound Blaster emulation. SBOS or MegaEm is required for Sound Blaster emulation.